Until a few years ago, food preservation seemed like an archaic custom to me, practiced only by rural grandmothers with vast root cellars and determined-looking homemakers on World War II-era “victory garden” posters. Then I married into a family of avid food preservers and the old-fashioned activity began to seem more commonplace. And, like many ambitious local-food-loving women (and some men) of her generation, my wife developed a desire to can and began filling our pantry with homemade preserved foods. So are you ready to get on the canning bandwagon? 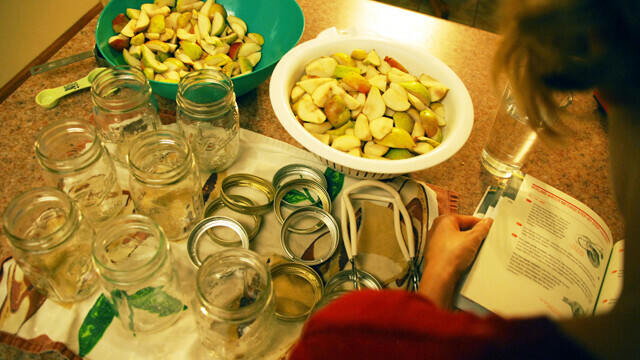 There are some basic things you need to know, the most fundamental being this: Canning is as much a science as an art. While canning can help you stash away some great grub, it can also kill you. Literally. Botulism, while fortunately rare, is nonetheless a looming danger for those who eat improperly canned food. Caused by a toxic bacteria that grows in oxygen-free environments, botulism can cause paralysis, difficulty breathing, and even death. Now that you’re sufficiently scared, here’s the good news: If you follow the directions carefully, it’s easy to can safely. And this is the time of year to do it. Gardens, farmers markets, and supermarket aisles are brimming with fresh, local produce. And advice is as close as the Eau Claire County UW Extension Office. Nancy Coffey, an avid home canner and Wisconsin Nutrition Education Program coordinator at the extension office, has some basic advice for beginning canners. “They need to make sure that they are using a research-based recipe,” she says. In addition, Coffey adds, the recipe needs to be a current one; she advises using only recipes published within the past five years. “You can’t use Grandma’s canning recipe,” she says. 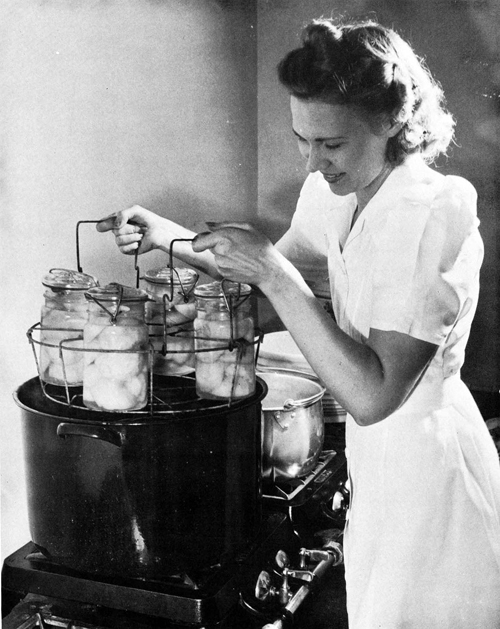 No offense to Grandma, but the science of food preservation has advanced over the years. What was once considered safe may now be a no-no. Likewise, the produce we are canning has changed: Specifically, the pH levels of fruits and vegetables are different than they used to be, and the acidity (or alkalinity) of produce is a critical element of whether it’s safe to can. It’s also critical to have the right equipment. The two main methods are boiling water canning (which involves, unsurprisingly, a big pot of boiling water) and pressure canning (which also involves boiling water inside a device that looks like a steampunk R2-D2). So where can a novice canner find help? Look no farther than the UW Extension. The folks at the Eau Claire County Extension office (227 First Street West,â¨Altoona) will test the dial gauge on your pressure canner for free (you should do that every year) and will also rent out pressure canners. The UW Extension also offers a ton of information on the Web: Go to foodsafety.wisc.edu and click on “Safe Home Food Preservation.” You can download recipe books and learn about canning techniques – including what kind of equipment you’ll need – as well as other food preservation methods such as pickling, fermenting, freezing, and drying. Likewise, the National Center for Home Food Preservation at the University of Georgia, has a wealth of resources at nchfp.uga.edu.